Why is Scrum so Popular? Why is Scrum So Successful? The fact that Scrum is the most popular Agile methodology is well known. But what is it about Scrum that makes it the number one framework for iterative software development? How did Scrum grow to be the most widely used Agile method, and what are the reasons for its success? 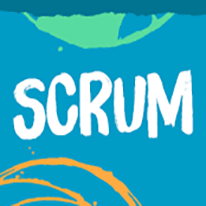 The direct answer is that Scrum is simple, straightforward, and easy to implement. While there are a number of other iterative and incremental development methdologies out there (eXtreme Programming, Crystal Clear, Agile Unified Process, etc), Scrum is on the simple side. Not only because of its inherent characteristics, but also because it has well documented use cases. In other words: in part, Scrum is successful simply because it's popular. So why is it popular? Some claim that certifications helped a lot. True enough, Scrum offers a variety of certifications. Scrum Masters, Product Owners, developers, but also trainers and coaches can get certified by the Scrum Alliance. Demonstrated experience and, perhaps even more importantly, ongoing education definitely helps. This feedback and continued contact with Scrum practicioners enables the methodology itself to continue to evolve and gain maturity. With ample credibility offered by both certifications and documented use cases, it's no wonder that Scrum was able to garner much attention and support. Companies aspiring to transition to an Agile methodology soon find that reliable and comprehensive information on the several Agile frameworks is difficult to come by. Another good reason for Scrum's success, of course, is that it just works. Why is Scrum So Productive? The reasons behind the increased performance of Scrum teams are manifold. For one, of course, Scrum is a mature framework of development and project management. With frequent iterations and continuous feedback, it helps make sure that the delivered end product suits customer needs. The ability to change requirements on the fly makes sure the project is not derailed. Pro tip: Looking to implement Agile? 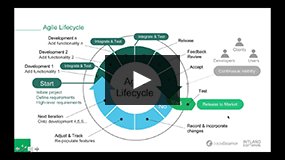 Sign up for our free Agile Training Course for insights & best practices! In addition to good processes, however, Scrum also comes with its psychological benefits. It builds on psychological mechanisms and smart motivation to help teams enhance their performance. Scrum takes full advantage of a fundamental trait most of us share: that we don't want to miss deadlines. Building on basic human psychology, Scrum breaks down work into short iterations to create a number of "smaller" deadlines, thus building up a continuous sense of urgency. But not only that: through the intensive use of face to face meetings (with other developers, customers, and even end users), developers get a real sense of just how much their work matters. Team members have to report on their progress, describe their to-dos, and any issues they are facing during daily standups. Retrospective meetings help the continuous improvement of processes so that structural issues are resolved. The sense of responsibility is further deepned by the Scrum practice of delegating management tasks to the team. Responsibility, of course, is both a burden and a blessing for developers. The focus on productivity in such a fast-paced environment could lead to burnout, but with self-governance and more involvement in management processes as well as day-to-day meetings that (ideally) encourage honest and open communication, Scrum teams enjoy a supportive climate that focuses on positive reinforcement and removing impediments rather than pointing fingers. In conclusion, Scrum is the most popular Agile project management framework because of its symplicity and high performance. It takes advantage of a need for a sense of achievement, positive feedback, and ownership of work done within a teamworking environment. As any high-performing business process, however, "oiling the gears" is necessary. Advanced tools are needed to support processes with precision. Download Intland's free case study to learn why Medtronic, the world's leading medtech developer, chose codeBeamer ALM to implement Agile development processes. To find out more about how codeBeamer enhances productivity in a Scrum setting, drop us a line or start your free trial of this integrated ALM tool right away!